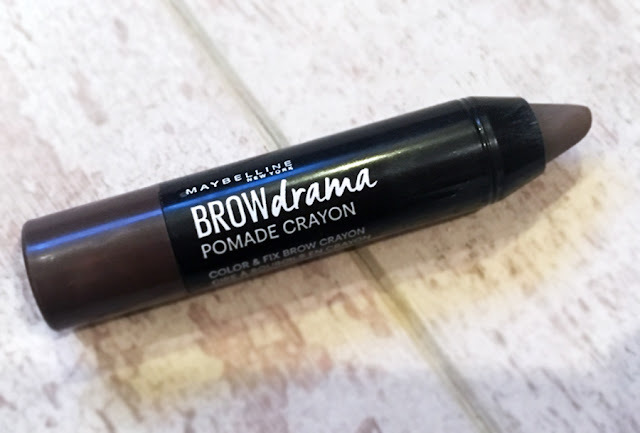 Maybelline have recently released a brand new brow product - the Brow Drama Pomade Crayon, after catching the advert on TV I instantly felt the need to nip to my local Boots and pick one up. After all it had a lot to live up to after the advert states that you can master the perfect brow in one sweep, sculpting and taming the hairs. What's not to love? It is the perfect product for on the go, it doesn't require any tools and in seconds you will get the perfect brow for only £5.99!! 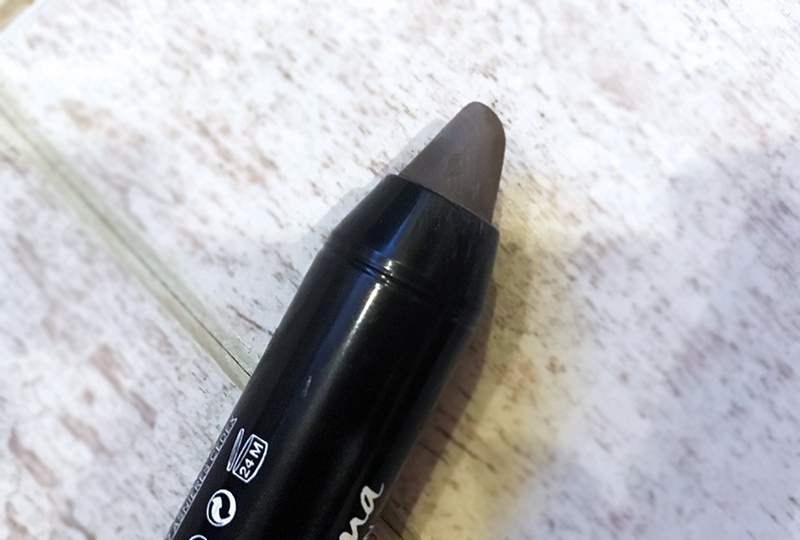 I was quite dubious when I had the product in my hand, the crayon itself is fairly stubby even before the first application which made me think how precise can it be, especially if you have very thin brows. Adding the consistency into the equation as well, a crayon is soft and waxy and a pomade is waxy and very pigmented, so all three together do not seem to bode well. You will be pleased to hear that it all teams together well and is extremely easy to use. 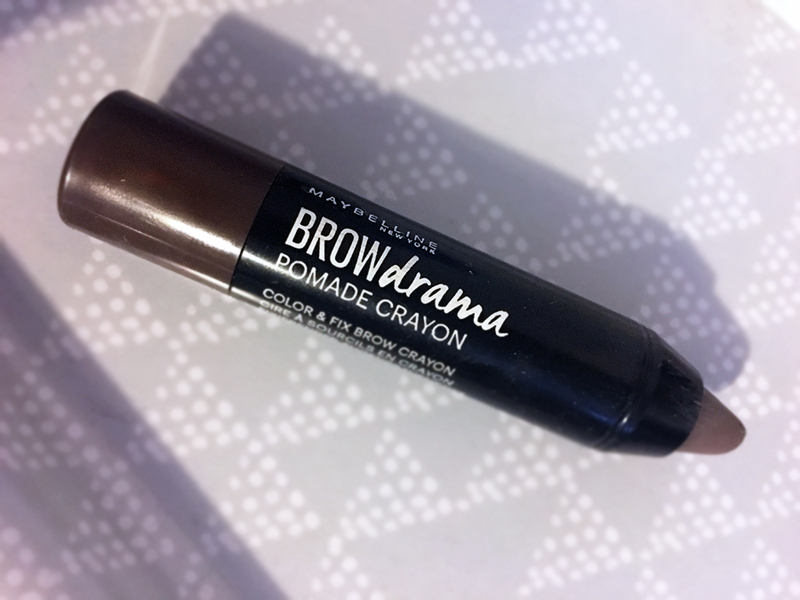 The Brow Pomade Crayon is very light on application so if you like your brows to look natural then I would instantly reach for this product without a shadow of a doubt, the pigmentation is not very strong so I would advise to get it one shade darker than you would usually go for. If you are a fan of fuller, thicker and structured brows then this product is not for you! Please keep in mind that there are only three shades available at the moment; Dark Blonde, Medium Brown and Dark Brown (I went for this one). I presume that over the next few months they will be releasing more shades, it would be a little bit silly if they didn't as there isn't really a product out there which is similar. I'd love to hear what you think of this product?